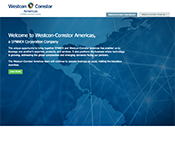 Make Juniper sales easier and faster with Westcon’s new Virtual Demo Lab! As long as you have a Wi-Fi connection, you can showcase Juniper’s value anywhere via a live session with Westcon’s Pre-Sales System Engineers and your customer or your team. By showing Juniper products in action, you’ll be perfectly positioned to move the sale forward, or with the help of your Westcon PSSE guide, you and your team will learn more about Juniper’s exciting product features. 1.Demo products live for yourself, your team or your customers using VDL, which features: the SRX platform with Juniper Secure Edge, Sky ATP, Junos Space Network, and Juniper’s flagship EX4300 switch. 2.Train yourself or your team on Juniper product features so that you can better understand how they can fulfill customer needs. 3.Learn how to run assessments read the reports and effectively present results to provide customers with an onsite proof of concept. 4.Perform Virtual Network Assessments for your customer as part of the “Dare to Know Your Network” security assessment promotion and rack up rewards! Find out more. 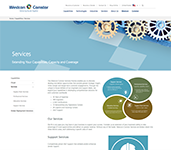 A Westcon engineer will contact you to schedule a virtual demo lab session. Please provide all required information so we can best assist you. For more information, please contact Larry Henshaw, Westcon’s Juniper Networks Pre-Sales System Engineer, at Larry.Henshaw@westcon.com or 303-222-4889.